Arriving by cruise ship? Get value for money with Green Island Tours! For one-day stop overs, Green Island Tours offers the Highlights of Rapa Nui Tour, covering all of the must-visit sites of Easter Island with a knowledgable and professional guide. The tour starts with the most important sites first, working backwards to the sites of less significance later, guaranteeing you the best value for your time. For two day stopovers, we seek to give a thorough overview of the island, visiting all the major sites from our the Moai Monuments Tour and the Historic Pathways Tour. For more information and details, see these tours in the Tours section. With many years experience working with cruises, Green Island Tours guarantees you an unforgettable time on the island. If you are arriving on a cruise ship which is not in the list below, contact us and we will put together an amazing experience for you. Book Now for a worry-free stop over on Easter Island! Green Island Tours is offering a shore excursion for the Oceania Marina on March 13, 2019. We will supply a knowledgeable English-speaking guide, and will have a 12-16 seater vehicle available for a maximum of 16 people. This is a smaller tour group for a more personalized experience and will be a one day tour of the most important sites on the island, very similar to those laid out on our website in the Highlights of Rapa Nui Tour. The cost is US$150 per person total for the day (US$300 per couple). The tour will require a US$60 deposit per person which can be paid by pressing the Book Now feature. Please note that this deposit is non-refundable should the tenders be unable to make port, and will be used to cover costs for the day. The National Park entrance fee is not included and costs US$80 per person. This is payable to the park in cash upon debarking from the tenders. The outstanding amount payable to us will be $US90 on the day A guide from Green Island Tours will be waiting at the docking area when you arrive and will seek to get you on your tour as soon as possible. Look for a table reading Green Island Tours and talk to the co-ordinator there. They will direct you to your vehicle. Drop off back to the tender is at around 4:00pm so as not to cut it too fine with the last tenders. If you would like to make a booking, please do so by clicking on Book Now. Once the payment has been made, we will send you a confirmation email. *Please note that remaining payment for the tours will be required in CASH and in FULL at the end of the tour (US$90 per person or $180 per couple). 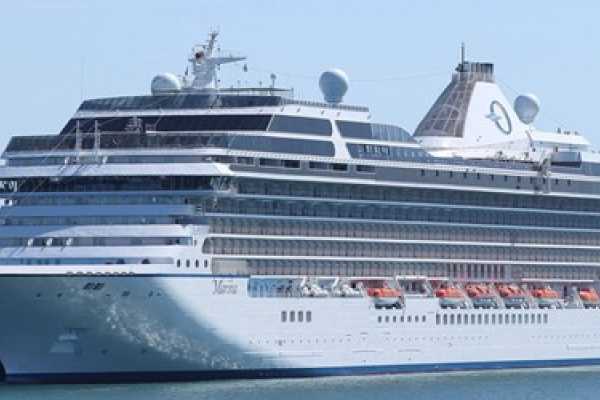 Sea Princess - August 12, 2019. 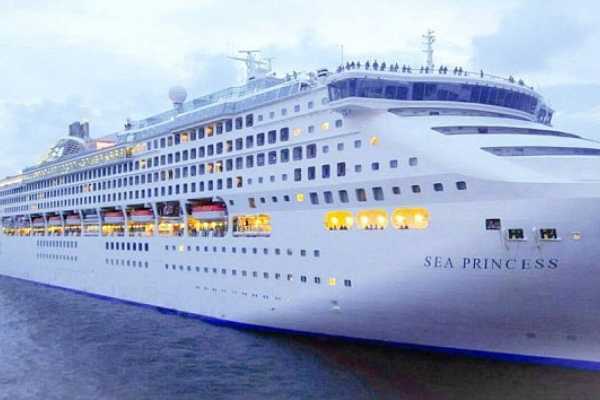 Green Island Tours is offering a shore excursion for the Sea Princess on August 12, 2019. We will supply a knowledgeable English-speaking guide, and will have a 12-16 seater vehicle available for a maximum of 16 people. This is a smaller tour group for a more personalized experience and will be a one day tour of the most important sites on the island, very similar to those laid out on our website in the Highlights of Rapa Nui Tour. The cost is US$120 per person total for the day (US$240 per couple). The tour will require a US$40 deposit per person which can be paid by pressing the Book Now feature. Please note that this deposit is non-refundable should the tenders be unable to make port, and will be used to cover costs for the day. The National Park entrance fee is not included and costs US$80 per person. This is payable to the park in cash upon debarking from the tenders. A guide from Green Island Tours will be waiting at the docking area when you arrive and will seek to get you on your tour as soon as possible. Look for a table reading Green Island Tours and talk to the co-ordinator there. They will direct you to your vehicle. Drop off back to the tender is at around 4:30pm so as not to cut it too fine with the last tenders. If you would like to make a booking, please do so by clicking on Book Now. Once the payment has been made, we will send you a confirmation email. *Please note that remaining payment for the tours will be required in CASH and in FULL at the end of the tour (US$160 per couple or US$80 per person).